Recommended insulation levels for retrofitting existing wood-framed buildings. Heating and cooling costs continue to rise. Adding insulation in your home’s attic can help control utility bills. 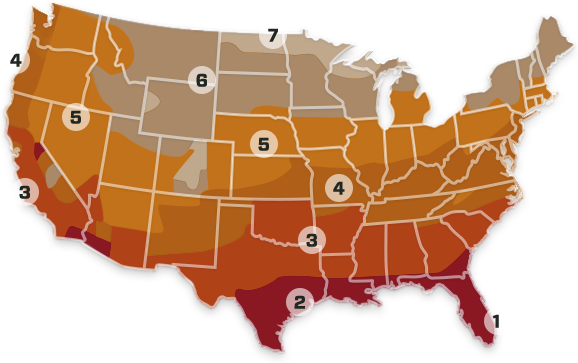 The map below shows the most cost-effective levels of insulation for the different climate zones in the U.S. Based on your zone, use the table to find out how much insulation you need to add if you have an uninsulated attic or if you have a few inches of existing insulation. R-Value is a measure of insulation’s ability to resist heat traveling through it. The higher the R-Value, the better the thermal performance of the insulation.